At Tri-Wave Electric, we do our very best to make sure that we cover all your electrical contractor needs in the greater Ottawa area. 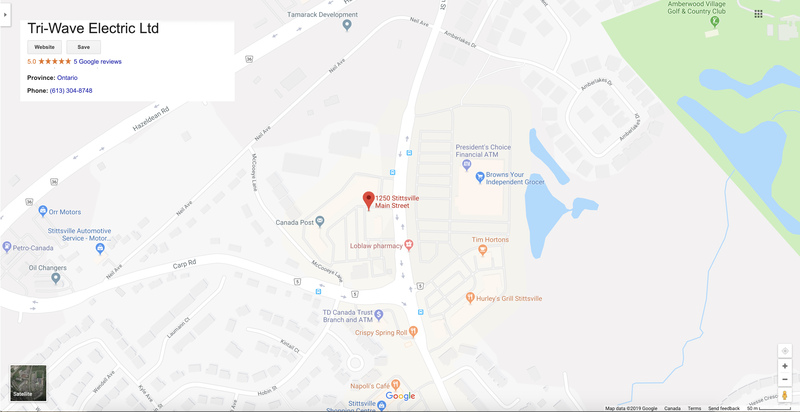 Whether you need a service call to your house in Kanata or wire your commercial business in Stittsville, no job is too big or small for our electrical service experts. You’re in good hands; our staff is friendly, professional and knowledgeable. In fact, we make sure that all our electricians are fully licensed and insured, so you can rest assured that we’ve got the best and the brightest working for you. 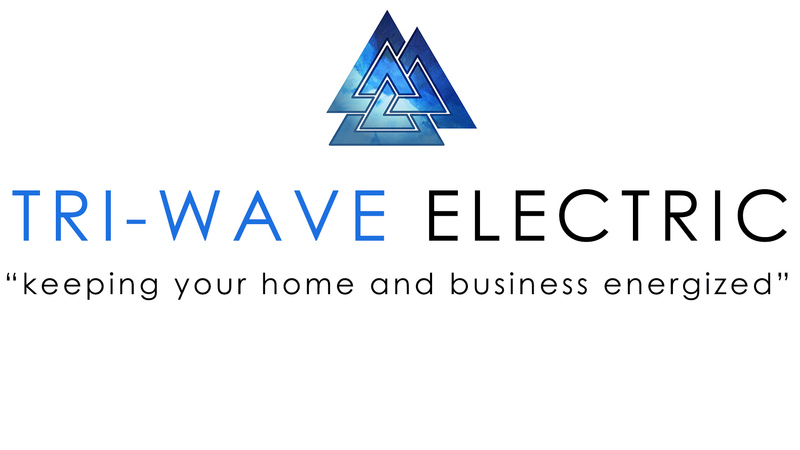 From Carleton Place to Orleans, Tri-Wave Electric will keep your home or business safely energized! We employ the finest electrical design team in Canada. Our engineers, in combination with trades people with decades of experience, provide a complete turnkey solution that we stand behind! Our on-call emergency service electricians are trained, licensed and happy to offer quality electrical service when you need it most! We cover Carleton Place, Stittsville, Richmond, Nepean, Ottawa, Kanata and everywhere in between! Looking to automate your home in style? Looking to better protect your family? Looking to save money on your heating and cooling bills? Have one of our licensed electricians install a Nest system today! Our team will even connect all your new Nest products to your smartphone for you! From installing one plug in your home or business to building your dream home or new office building, Tri-Wave Electric is equipped to help these projects come to light! Adding spotlights to your kitchen or tenant fit-ups, we want to be your first and last stop for all your electrical needs here in the greater Ottawa area! Our team has extensive experience working with some of North America's largest retailers and retail maintenance firms! We know and understand the demands of the retail business and what it takes to work with national retail accounts. Whether it is scheduled preventive maintenance, lighting architecture or emergency service, Tri-Wave Electric has the experience and the experts to keep your retail portfolio safely energized! Ask about our preventive maintenance programs and get your business electrically safe by being CSA's Z-463 compliant! We can set your business up with a maintenance strategy and program that fit your needs and budget. From monthly fire alarm tests to national maintenance strategies, we have the solution! Call Tri-Wave today to solve the hidden issues in your electrical system before the lights go out! Check out some fellow businesses that we work with.